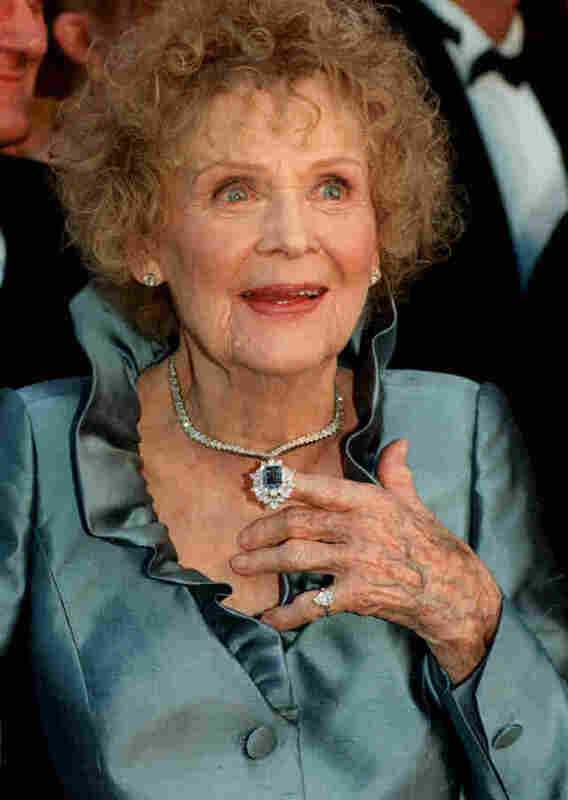 On The Manifold Other Accomplishments Of 'Titanic' Actress Gloria Stuart She'll be remembered for the tiny little part that made her famous and earned her an Oscar nomination at 87. But the lady had a lot more going on in her life. You've gotta wonder what Gloria Stuart really thought about Titanic. The actress, who died Sept. 26 at age 100, played the shipwreck survivor whose flashback (starring Kate Winslet) was basically the whole movie. And she earned an Oscar nomination for it, becoming the oldest actor to get the nod. But though Stuart was a founding member of the Screen Actors Guild, her heart was never in Hollywood. She'd made an early splash in films like Gold Diggers of 1935 and The Invisible Man, but the appeal of the bright lights had faded. "I hated everything I was doing," Stuart told NPR's Renee Montagne in a 1998 profile. She'd done stage work, notably at the Pasadena Playhouse, and "I didn't want to play girl reporters, girl detectives, girl lawyers, rich girls, poor girls -- those parts, they were not challenging. I had been playing Chekhov and Shakespeare and Pirandello, and you know. I was very snobbish, and I wanted to go to the New York theater. And of course when I got to New York and had quit film, they didn't want a movie actress. Movie actresses were trash." The pursuits Stuart took up in her decades away from the movies were as rarefied as her taste in plays. She made "exquisite hand-printed art books," Montagne reported. She painted "fantastical nudes and dream landscapes reminiscent of Rousseau," and her California garden was "a wonderland of miniature trees -- bonsai Stuart has been shaping for nearly half a century." And though Stuart was probably too polite (or maybe just too politic) ever to say it, Titanic wasn't high art. All that schmaltz; all that grandiosity; Chekhov it certainly wasn't. But Stuart did like her own role. She told Renee Montagne that she fell for it as soon as she saw the script. "I was turning pages like this: old Rose, old Rose, old Rose. And it was a great part. Oh, I could taste it halfway through. I knew it was wonderful." And as for her performance, you've gotta admit: Wasn't she a dish?